The University College Dublin Summer Student Research Awards 2011 Gold Medal is the latest achievement of INTI College Sarawak alumnus Valerie Toh Wen Ting. 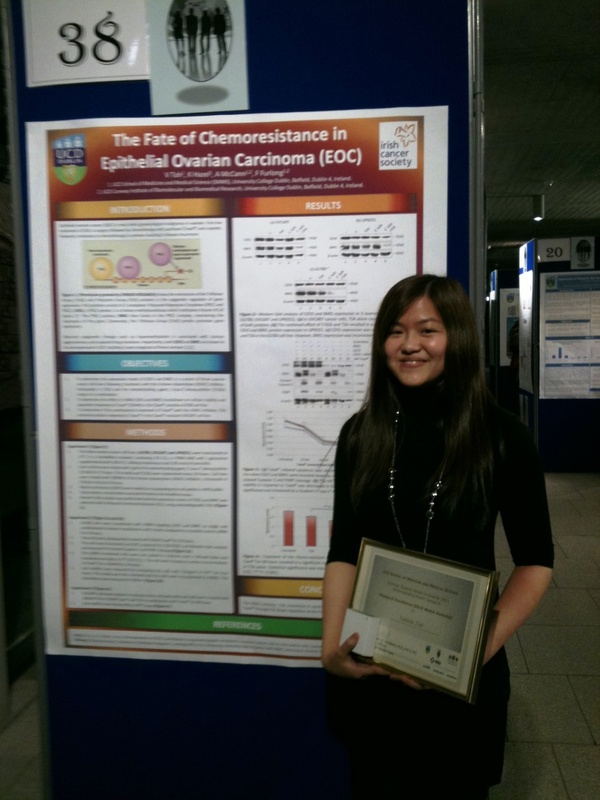 Currently in the third year of the MB BCh BAO (Bachelor of Medicine, Bachelor of Surgery, Bachelor of Obstetrics) degree programme at University College Dublin (UCD) in Ireland, Valerie, a former SMK St. Teresa student, was actively involved in biomedical research in the UCD Conway Institute of Biomolecular and Biomedical Research, Ireland’s largest biosciences research institute. She worked with a group of senior post-doctoral scientists on a research project entitled ‘The Fate of Chemoresistance in Epithelial Ovarian Cancer (EOC)’ funded by the Irish Cancer Society. Valerie standing before her research poster upon winning the gold medal.